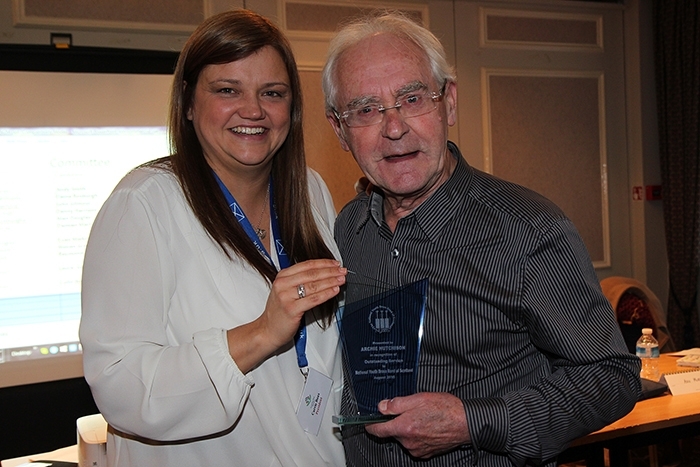 Archie’s long career in brass bands began at the end of a queue of 70 youngsters, winding their way up a spiral staircase into the bandroom of the Dalmellington Band in South Ayrshire. A note inviting new recruits to the band had been sent around the local school and this was the response; 71 hopefuls; boys and girls, all wishing to join the famous Dalmellington Silver Band. Sixty five years later, Archie is the only survivor of that influx of youthful talent. The year was 1950, and, at under 10 years old , Archie just scraped in on the back of a little white lie, and a raised eyebrow from the band secretary who knew full well that the wee chap in front of him was Tommy Hutchison’s boy from Broomknowe, and who didn’t meet the age requirement! So, a lifetime of involvement in brass bands was launched; first of all as boy cornet soloist, performing with the Ransome and Marles Works Band, CWS Manchester, Creswell Colliery, SCWS band in Glasgow, on radio with ‘Children's Hour’ (like Blue Peter) and on early television, then, later, through principal cornet seats at Markham Main Colliery and Dalmellington and, eventually, as conductor of every main band in Scotland, working with Peter Parkes, Howard Snell, Geoffrey Brand, Walter Hargreaves, Jimmy Scott, Richard Evans, etc. Currently, Archie conducts the Dalmellington Band, maintains a much admired hillside garden, travels around helping other bands, still plays cornet (on occasion) and tutors at the National Youth Brass Band of Scotland (NYBBS). This is his 16th year tutoring young cornet players and Archie considers these years to be the most privileged of his career, not only in the prodigious wealth of talent that has passed through in that time, but also having been in the company of wonderful fellow tutors and conductors who are an absolute inspiration! Over the past 20 years Lesley has played with some of the UK’s top bands, most recently Foden's Band. In 1999, she became the first female player of the Black Dyke Band on principal solo horn, a position that allowed her to perform in festivals and concerts around the world including the Harrogate Festival, Swiss Open Gala Concert and Bermuda Arts Festival. Lesley has played with the Brass Band of Battle Creek and in the ITG Festival in America, worked throughout Scandinavia and recorded the Horn Concerto by Elgar Howarth with the Eikanger Brass Band of Norway. She has had many works written for her including the Philip Wilby Horn Concerto. She is regularly asked to review for the magazines and websites and wrote a chapter for The Brass Players' Cookbook. Mark studied trombone and euphonium at the Royal Scottish Academy of Music and Drama, graduating with a BMus (Hons) (Perf) and a PGDip (Perf). In his final year Mark was awarded the Robert McCreath Prize for the most significant contribution to the brass department over a period of study. Mark spent five years working as a freelance trombonist with most of Scotland’s professional orchestras, before moving up to Aberdeenshire where he currently works as a brass instructor and music centre co-ordinator with Aberdeenshire Council as well as being a trombone teacher at the University of Aberdeen. 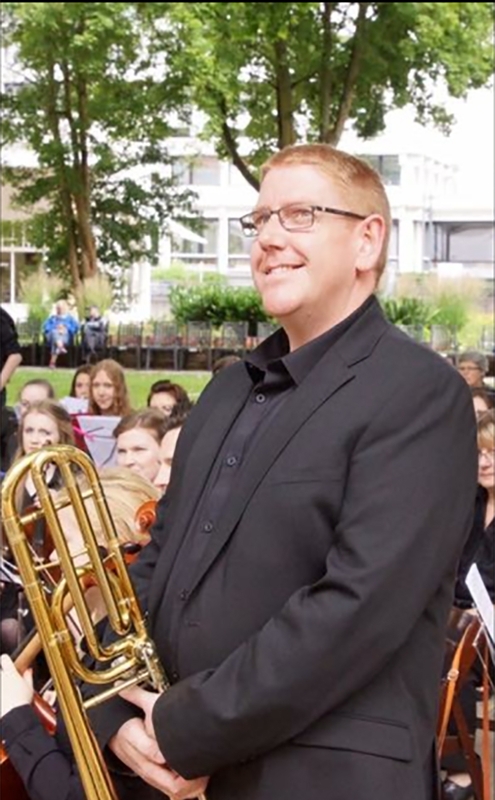 Mark was principal trombone with the Whitburn Band for 10 ten years and has just reached the same number of years as principal with the Bon-Accord Silver Band in Aberdeen. Mark is a former member of the National Youth Brass Band of Scotland, where he was principal trombone for 6 years. Ben started playing the tuba as a youngster aged ten at The Salvation Army in Sheffield as a member of the young people’s band, quickly realising that he had a real interest for playing the instrument. This soon developed into a passion as he became a member of Carlton Main Frickley Colliery Band at the age of 12, just two years after he started playing. This appointment gave him many exciting performance opportunities at such a young age, a few personal highlights of these experiences include being a featured soloist on a number of the bands concerts and playing at his first British Open at the age of 13, playing the tuba solo in Vienna Nights. Around that time he had the privilege of being a member of the first ever National Children’s Brass Band of Great Britain, at which he received the award for outstanding achievement. 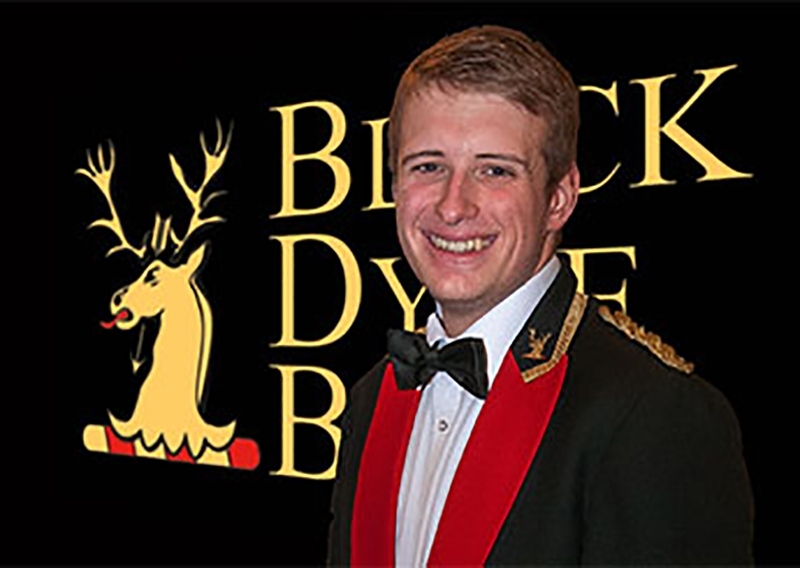 Ben joined Black Dyke Band in November 2013 from Grimethorpe Colliery Band. 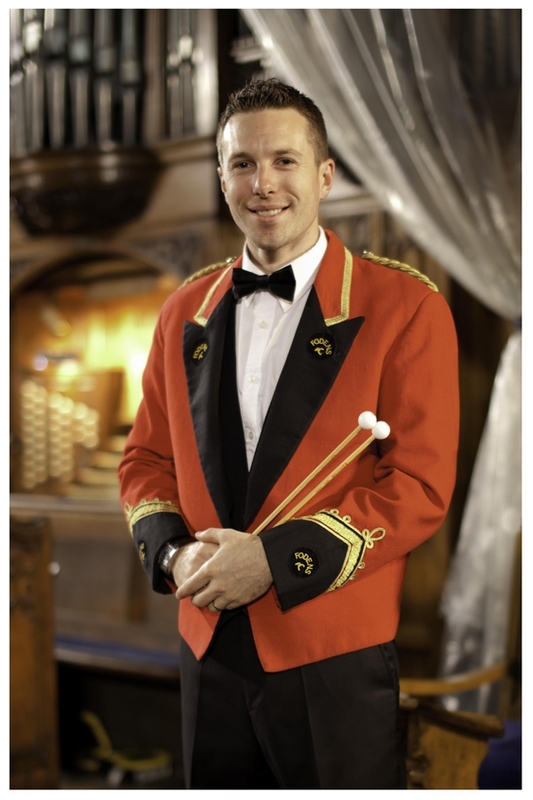 Ben is frequently featured as guest soloist for bands across the country, most recently featuring as guest soloist at the gala concert for Hull Citadel Salvation Army corps anniversary. Over his past three years at the University of Salford, Ben studied under the leadership of world renowned tuba virtuoso Les Neish. Following Ben’s three years studying performance at Salford, he received the Harry Mortimer Brass Performance Prize and the Roy Newsome conducting Prize. He is now continuing his education at the Royal Northern College of Music studying for a master's degree in performance. Coming from a typical brass banding family, Mark's first inclusion into the brass band world came at the tender age of five when he began to play the cornet. But even under the influence of his father, Eric, Mark was still unconvinced that cornet playing was his destiny, and so at the age of 12, began playing percussion at Delph Youth Band and Oldham Music Centre. He then progressed through Lees and Glodwick Band before settling at Dobcross Youth Band. Since then, Mark went from strength to strength playing in many well-recognised bands and joined the Todmorden Old Brass Band in 1998 when the band was promoted to the championship section. Mark was a committed member of the National Youth Band of Great Britain for four years. During that time he was awarded several solo prizes for his hard work and virtuosi playing. He became the NYBB's first principal percussionist in 2001 and now is pleased to return at a tutor. Joining the Fodens Band in 1999 has been an excellent move for Mark. Since joining the band Mark has had the opportunity to play alongside some of the countries leading percussionists and has worked his way up through the ranks, thus earning himself the title of Foden's principal percussionist in 2000. In this role, Mark is often seen centre stage as one of the band's leading soloists.